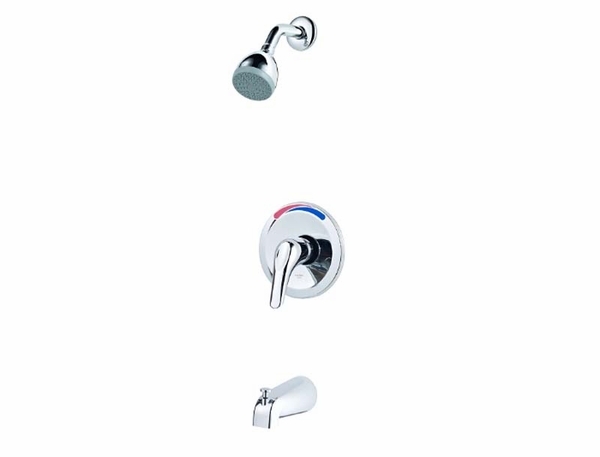 The Pfister Pfirst Tub and Shower Faucet set will provide you with all that's needed to create the perfect shower and bathtub combination. Whether you're looking to install something new in your own home, or perhaps you're a builder and looking to by these products in bulk, you will not be disappointed with the quality and price of these items. Get them in classic Polished Chrome for a fantastic look in any space. Not only are you getting a quality product that will last, you can guarantee it with our Pfister Lifetime Warranty that you can be sure to count on.